Two commonly confused ingredients in the health supplement industry today are bitter orange and orange peel oil. Also known as d-limonene, orange peel oil is used in herbal remedies, flavorings, and aromatherapy products, similar to bitter orange, which is why they’re easy to confuse. 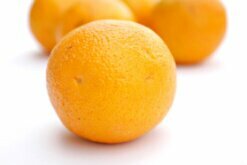 And since bitter orange has recently come under fire due to its chemical similarities to ephedrine, it’s important to understand their differences so as not to eschew all orange-peel based products. Bitter orange is listed mainly under the name citrus aurantium, but may also crop up as citrus bergamia, citrus vulgaris, citrus bigaradia, or aurantii percarpium. In layman’s terms, bitter orange is known as the Seville orange, bitter orange flower, zhi shi, bigarade orange, or marmalade orange. Extract from bitter orange has been used in perfume, aromatherapy products and flavoring in Tamil and Southern Indian cuisine. Its peel has even been used in Belgian white beer as a spice. 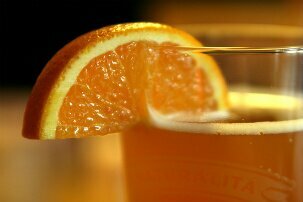 As a flavoring agent, bitter orange has been approved by the FDA. In other countries, like Europe, it’s been used as a sedative, to treat gout, sore throat, toxic shock, cancer, and cardiac exhaustion. ephedrine in many performance enhancing supplements. The first reported case of a person suffering heart damage due to an “ephedra free” product containing bitter orange was noted in the Texas Heart Institute Journal in 2009. Subsequent cases related to heart malfunction due to “ephedra free” products suggest supplement manufacturers have merely found a loophole to the FDA ban, as both ephedra and bitter orange contain the potentially harmful chemicals synephrine and octopamine. Both chemicals have been known to speed up heart rate, raise blood pressure, and induce stroke when mixed with caffeine or other supplements. While a study from the University of California, San Francisco showed that bitter orange alone wasn’t as damaging as ephedra, it can be harmful when mixed with caffeine. Dr. Christine Haller, who led the study, noted that the main difference between the effects of caffeine alone and when it was mixed with bitter orange was that the pairing affects both diastolic and systolic blood pressure. On its own, caffeine impacts only systolic blood pressure—when the heart beats. Bitter orange mixed with caffeine however, has the tendency to both affect the heart when it beats and also when it is at rest. In comparison, d-limonene comes from the rinds of the sweet orange grown from the citrus tree citrus sinensis, rather than the bitter orange tree citrus aurantium. It is a low-toxic part of the residual oil extracted from the peel after orange juice production, with a lemon-like smell and a clear color. Like bitter orange, d-limonene is also used as a flavoring agent and in perfumes, gum, and cleaning applications. As a weight loss element, d-limonene is a monoterpene, a class of hydrocarbons that has been noted in the Journal of Applied Toxicology as a natural appetite suppressant. The bulk of the data surrounding d-limonene in weight loss applications comes from studies done on animals, and an article in Positive Health Online has determined that the majority of the literature surrounding monoterpenes classifies them as anorexics, given their ability to naturally decrease the appetite. As with all supplements, it’s important to research all literature available for each ingredient, and consult a doctor when taking multiple supplements in tandem. While d-limonene has been deemed GRAS (generally regarded as safe) by the FDA, all orange extract products should be taken with caution, as some are standardized as synephrine, the potent chemical in bitter orange, as opposed to d-limonene. Given the recent guise of ephedrine as bitter orange, it’s important to clarify that all ingredients in a supplement are listed under legitimate names.